Dentures are removable replacements, which are applied as a result of tooth loss. Unlike bridges and implants, these are prosthetic teeth, which are attached to the supporting structures. The best thing about the dentures is that they can be removed and cleaned easily and properly. 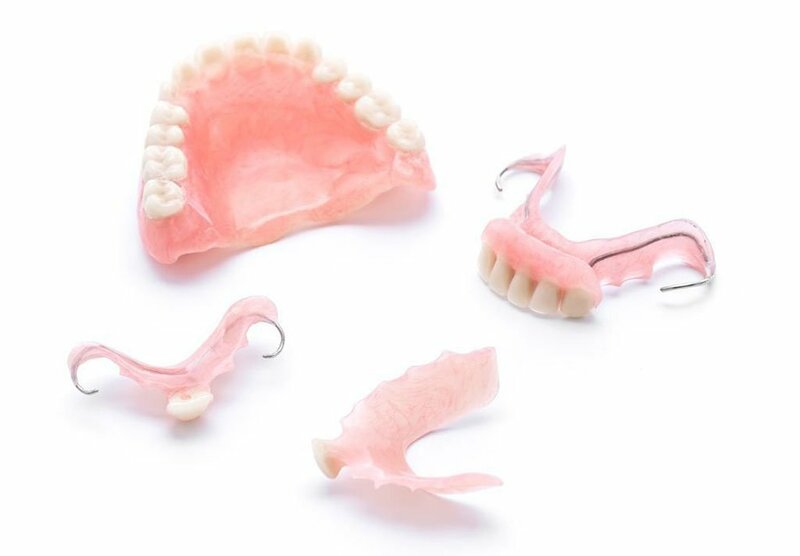 Though dentures have not been as comfortable as the natural teeth these days, you can find them in the best forms with maximum ease and comfort. There are different types of dentures and a dentist orthodontist suggests the one while keeping the dental condition of a patient. Full conventional dentures are suggested as a result of complete tooth loss. The base of conventional full dentures is made of flesh-colored a cyclic material. For upper jaw, the base covers the palate whereas, for the lower jaw, the dentures take the form of a horseshoe so that adequate empty space is left for the tongue. The conventional complete dentures are fitted on the gums after the tissues have recovered completely after the removal of remains of permanent teeth. 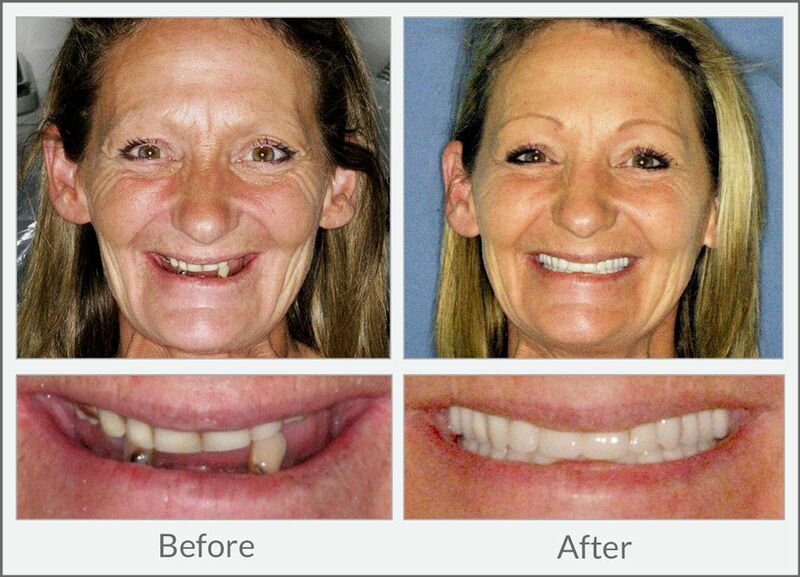 The recovery period takes almost three months during which the patient has to live without teeth. 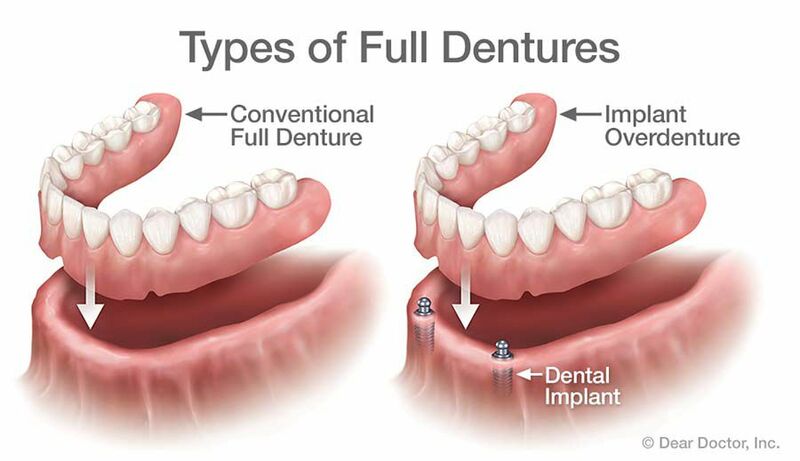 As the name indicates, immediate full dentures are fixed over the gums right after the removal of natural teeth. A patient doesn’t have to wait without teeth. A dentist in Pakistan takes the measurement of mouth and then dentures are prepared are in a dental laboratory accordingly. However, these take some months to get fixed because as the tissue heals up, the dentures become loose. Therefore, the patients need to visit a nearby dentist to get them fixed properly. 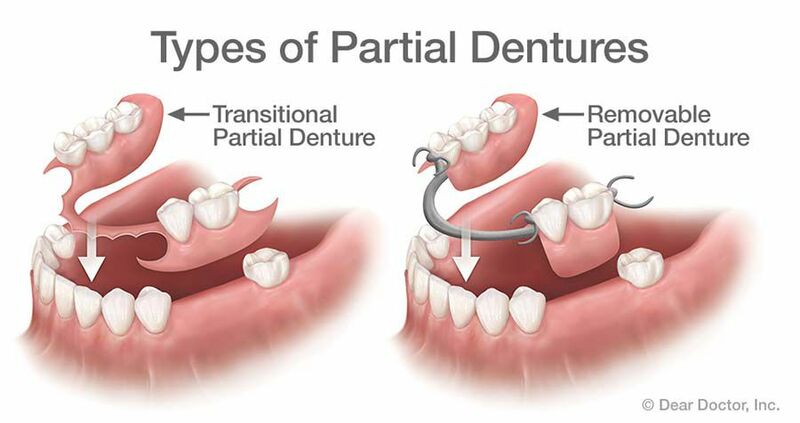 Partial dentures are placed when one or more teeth are missing. These are set on a metal framework that is given support by the linked teeth. Sometimes, crowns are placed on the natural teeth so that the metal framework could be fixed with them. Dentures are useful because of restoring your facial look and aesthetically enhanced appearance to your overall personality. Though, these are not as comfortable in chewing or grinding as your natural teeth are but still these help a lot in eating. You need to keep your dentures clean so that no stains are formed on the surface to make them look dirty. Full dentures when removed should be soaked in the denture’s water or in normal plain water or else these can get damaged. 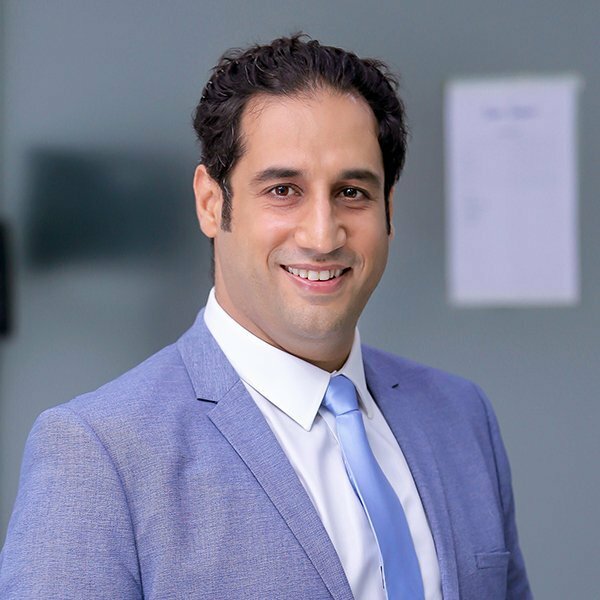 If you want to get dentures, fix an appointment at dental aesthetic either by using the app or by calling at the provided numbers on the website.